DC’s Legends of Tomorrow is almost here and it brings with it an exciting collection of heroes and villains. We’ll get to see how these misfits band together to take on the immortal threat of Vandal Savage (Casper Crump), and how they deal with the intricacies of time travel. Led by the charismatic Time Master Rip Hunter (Arthur Darvill), our new team will have a lot of adventures ahead of them as they travel through different eras, trying to save the world. As Rip Hunter says in the preview for Legends of Tomorrow, these aren’t just heroes, but legends. However, with the introduction of time travel, new characters, and a focus on previously used supporting characters, newcomers have a lot to learn before tuning in on January 21st. In order to help prepare you for the newest series in the "Arrowverse," here is Screen Rant’s 10 Things You Need To Know About DC’s Legends of Tomorrow. 11 Who Is Rip Hunter? Leading this team is the Time Master himself, Rip Hunter. We haven’t been formally introduced to Rip on The Flash or Arrow yet, but the previews are showcasing him as the leader of these "legends." While Rip Hunter’s origins have never been fully explained in the comics, we do know that he is the son of DC hero Booster Gold. Rip Hunter is known for traveling all throughout time in order to stop major calamities, but is unable to change certain events from taking place. With his knowledge of what can and cannot be altered, Rip Hunter is the obvious choice to lead the team through time as they try to change the future. In Legends of Tomorrow, most of Rip Hunter's background story will likely remain the same, but his connection to Booster Gold may be changed for this small screen version of the character. Rip Hunter is shaping up to be a welcome addition to the CW’s DC universe, and a key player in stopping the new threats to the world that the Legends are out to prevent. 10 Who Are The Time Masters? In the comics, "Time Masters" is a name used for several groups led by Rip Hunter. These various versions of the Time Masters then travel through time to stop major events from happening in order to protect the future. These teams usually include other heroes, but Rip is also the leader. 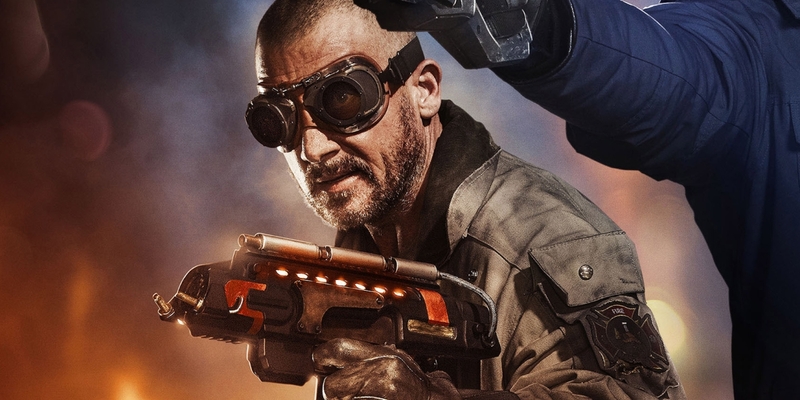 However, Legends of Tomorrow seems to be doing something a little different with the Time Masters. From what we can see in the plethora of previews for the upcoming show, the Time Masters are a collection of individuals whose faces we cannot see. They seem to act a like a council that determines when it is acceptable to interfere with the past. More importantly, Rip Hunter is clearly not the leader of the Time Masters, but is instead just a member, or even servant, of the council. Perhaps we will eventually see Rip take on his role as the head of Time Masters in this version of the story, but that probably won't be the case in the first season of the series. 9 Where Does This Fit Into Current Continuity? With all the talk of time travel, some may be confused about when the bulk of the show will take place. However, in one of the many previews, we learn that the show will indeed pick up in present day just like Flash and Arrow. As the time travel begins, we will see our legends go into the past, which could hypothetically alter the continuity of both The Flash and Arrow. Considering Vandal Savage and Rip Hunter’s involvement, it is safe to say that this show will definitely shake things up in all of the CW’s DC universe shows. After all, their ultimate goal will be to alter the timeline in order to save the future from Vandal Savage’s grip. In order to do this, it's likely they'll eventually affect certain events that have already taken place in The Flash and Arrow. There will obviously be a ton of time travel in Legends of Tomorrow, and that will bring with it some complex issues. With the characters’ abilities to go through time, we will see them meet their younger selves, but along with this comes the repercussions of such events. If and when they are to meet their younger selves, or even future selves, it could potentially change the entire DC universe on The CW. As we know from some of the many previews, the early episodes will dive right into this when the team asks for help from a brilliant scientist from the '70s. That young scientist is none other than Professor Stein, who becomes one half of Firestorm along with the character of Jefferson "Jax" Jackson, who has previously been seen in The Flash. Despite the team needing the young Stein’s mind in order to help achieve their current goal, the meeting and interaction could have some unintended effects down the line. For instance, we also catch a quick glimpse of Professor Stein’s ring disappearing. Could this perhaps be one of the many repercussions from meeting his younger self? We’ll have to tune in and see! There have been a couple of reports about the potential problems caused by Legends of Tomorrow’s reportedly massive budget. With the amount of effects and characters that the show employs, it’s not unbelievable that this show would have a larger budget than both Arrow or Flash, despite not having huge name characters. While an official budget hasn’t been released, it’s only logical that it would be pretty high. But the real speculation about the budget has to do with whether or not it will have a negative or positive effect on the show itself. Some rumors are claiming that the budget is so high, network execs are already considering an end to the series after only one season. While these are unofficial reports, it wouldn't be surprising to hear that it costs way too much to maintain a series with so much going on. On the flip side, if the show is successful, there's no way the CW will cancel it prematurely, regardless of what the suits might be thinking right now. Luckily for Legends of Tomorrow, they have all three on as executive producers who will guide the show with the same precision they have for Arrow and The Flash. They have shown time and time again that they know these characters and have a vision for where they want this small screen universe to go. 5 Why Are Hawkman And Hawkgirl Egyptian? These two main characters of Legends of Tomorrow have already been introduced in some a pair of crossover episodes of The Flash and Arrow. Hawkgirl and Hawkman are going to be integral parts of this upcoming team-up. However, hose who are vaguely familiar with the characters may be wondering why they haven’t heard the word “Thanagarian” in regards to either of these characters. If you grew up watching the Justice League animated series, or have read any Hawkman comics in the past, you may remember Thanagar, the alien planet from which Hawkman and Hawkgirl originally come from. However, like most comic characters, there are multiple versions of their origin. In the other major origin for these characters, they have their beginning in ancient Egypt. Within the CW universe, there will be no mention of Thanagar (as far as we can tell right now) and their alternate, alien origins. 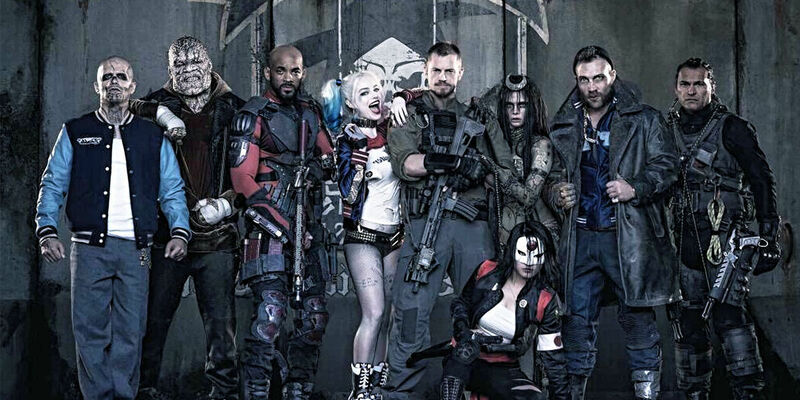 Many fans were upset that the small screen Suicide Squad, who had featured prominently in prior seasons of Arrow were supposedly taken off the show to make room for the big screen adaptation coming out this summer. The Suicide Squad on Arrow was very successful, and it gave a lot of fans a version of the villainous team that they could root for. However, it seems as though the CW might be trying to bank on a similar team dynamic with Legends of Tomorrow. While Legends is filled with heroes, there are two villains (Heat-Wave and Captain Cold) and one anti-hero (White Canary) on the team. While the "Arrowverse" Suicide Squad consisted mostly of villains, the characters of Diggle and Lyla were usually present as the token “good guys.” Even though Legends seems to be flipping the dynamic a bit, the fact that this team includes these not so heroic characters could be the CW’s way of embracing the success they had with the Suicide Squad. In addition to introducing alternate version of known character, Legends of Tomorrow also has plans to introduce DC characters from the past and future including, as it was recently announced, Jonah Hex. With the team going as far back as the old west, we could potentially see other characters that have perhaps already come and gone, or have yet to appear. With the revelation in a recent episode of The Flash that Barry Allen, aka The Flash, is set to go missing in 2020, could we possibly see the team explore the disappearance of Barry Allen? With time travel being the main means of transportation for this team, it is even possible that Legends could introduce characters who are able to manipulate the continuity as well, such as the Phantom Stranger, another well-known time traveler from the DC comics. With the realm of possibility so massive, thanks to this show’s ambition, budget, and story, it seems that very few characters are off-limits for them to bring in and introduce. 2 Could Constantine Be Coming To Legends Of Tomorrow? A fan favorite, Constantine (Matt Ryan) made a very welcome appearance on Arrow's latest season, even though his own series on NBC was canceled. There have been rumblings that Constantine might reappear as a series regular in season 2 of Legends, and he would probably fit in quite well, given his knowledge of the Dark Arts and the fact that he's already been established as a part of the "Arrowverse." As we’ve already discussed, season 2 is still up in the air, but if the show was to garner a second season, Constantine would be a welcome addition to the already impressive roster of heroes and villains. Not only would fans love to see Matt Ryan’s John Constantine get another shot on the small screen, but his backstory could provide a lot of inspiration for Legends. With Constantine, they could introduce other fan-favorite characters like Dr. Fate or Madame Xanadu, and bring in larger threats like Felix Faust. There you have it! Hopefully, you've learned a few things about the highly anticipated Legends of Tomorrow and are now looking forward to it even more than you previously were. While the show has a lot to prove in its first season, we've got high hopes that it will live up to expectations. Thanks for reading and be sure to catch Legends of Tomorrow every Thursday on the CW, beginning on January 21st!